Declawing Cats What Do you Think? You are here: Home / Animals Welfare / Declawing Cats What Do you Think? 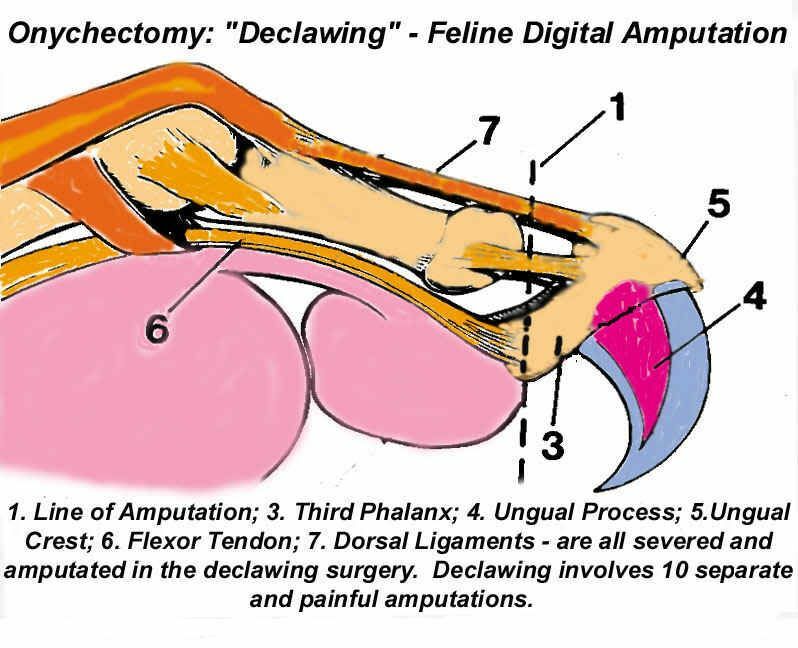 Not too long ago I posted a link to a blog article and video about cat declawing (Onychectomy) over on my Facebook page. Cat declawing is not a new topic up for debate–it has been a hot one throughout my career as an animal behavior consultant and trainer and I wrote about it some time back when talking about cat scratching behavior problems. Early in my career, when I first began to train big cats, it was common practice to declaw the front paws of tigers and lions and all four for leopards. Then, we were hands on in the movie and television industry and the safety of the trainers and the actors or crew was part of the reason it was done. But it painful and was horrible for the cats. Personally, I am against the procedure because I know that cat scratching and clawing issues can be solved easily through behavior modification strategies. The trick is to start early. Kittenhood is the best time to do prevention work and to train. Did you know that there are many highly trained fabulous felines working in Hollywood? I happen to have worked with many and know some very famous critters—like Mr. Bigglesworth. Anyway, declawing is an uncomfortable and painful experience. The amputation and mutilation is akin to removing the tip of your finger back to the joint. Behavior problems such as scratching or clawing, can be addressed quickly and easily by simple strategies, or by a combination of different methods. Today there are a multitude of products on the market to help avoid clawing and scratching problems. Unfortunately, I am sad to report that many pet owners often avoid dealing with situations that involve behavior problems. In fact I am still surprised at how many people mistakenly think that the problems will just disappear or solve themselves. The reality is that most problems get worse and escalate in their intensity over time. The become firmly entrenched and so the issues then become much harder to address–and this is when some people opt for the surgical removal of the claws. Most animal behavior problems, even in severe cases, can be addressed in an eight to twelve week period. Faster progress is made with professional assistance from an animal behaviorist or coach. To solve behavior problems it is necessary to target the contributing cause. Once the reason underlying the symptom (problem) is determined, the situation can be resolved. There are a variety of reasons why a cat will begin to engage in clawing and scratching behavior. A behaviorist can pinpoint the problem and understand the motivation behind the behavior so you can pick the right solution. Unfortunately, rather than deal with these situations early, pet owners will wait and then, in desperation, take drastic measures that may hurt, maim, or psychologically impact their animals for life. Consultants in animal behavior see the negative repercussions of such extreme actions such as declawing. Other behavior problems often follow the procedure and many declawed felines suffer from litterbox avoidance, psychological trauma, and day-to-day frustrations that prevent them from marking territory, protecting themselves, and helping them to align their spines. Many declawed cats bite more—as it is their only line of defense. They often have a difficult time with other animals because they feel vulnerable and so their aggression often escalates. Is there a time I would recommend declawing? Not really—and I never have. Pet owners who are unwilling to work to make sure that their pet is properly schooled and trained or who are unwilling to keep an animal in the home for the duration of his or her lifespan are not the type of clients I see. Okay, okay. Don’t get defensive on this issue. This is not an ideal world and some exceptions may come up. So, in an extreme case where it is necessary to insure an animal stays in the home, I might ponder it and a lot of people believe that is the only time it might be an option. 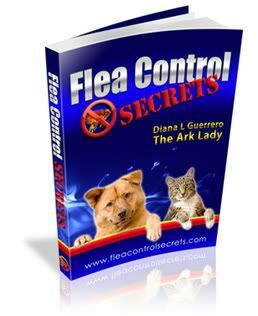 However, understand that the owners must have spent the necessary time working on the issue with a qualified animal behaviorist without success to receive such a recommendation. Did you know that there are nail covers and other more palatable options to try before pondering such a recommendation? It is important that you understand that declawing a feline will make that animal unsuitable for other homes making placement or adoption nearly impossible. The procedure would also put the animal at great risk if it escapes or meanders outdoors. Finally, you might not agree with my professional opinion and that is your prerogative. Below I have attached some links to the commentaries of some of the larger professional groups and clubs so you could read other opinions on the topic and have also attached some videos that were shared with me last week. Okay, your turn to chime in via the comments. What do you think about cat declawing? Oh my GOD I had no idea declawing was so… cruel, horrid, extreme… Oh my goodness. That is horrible. Thank you for sharing this. Hi Shauna, thanks so much for stopping by. I recently discovered your blog and love it! Yes, sorry to say most people don’t have any idea just what is involved in declawing a cat. In fact, many actually argue the point without knowing much about it when it is really not necessary if you focus on correcting the behavior and providing a good environment for the cat. Great article, Diana. Very thought-provoking. I think the reason declawing is still so prevalent is that many people – even some vets, who really should know better – still have a tendency to think that cats are simply untrainable. They’re unwilling to put in the time and effort, because they think there’s no chance of a return on their investment, and so they choose declawing as (in their view) the lesser of two evils; at least they’re minimizing their property damage. Facts are the best tools: get the information out there, so folks can have a reasonable expectation of how much effort will be required to modify their pet’s behavior, and the likelihood of success. If they think they’ve got a reasonable shot without resorting to amputation, they’re much less likely to go that route.